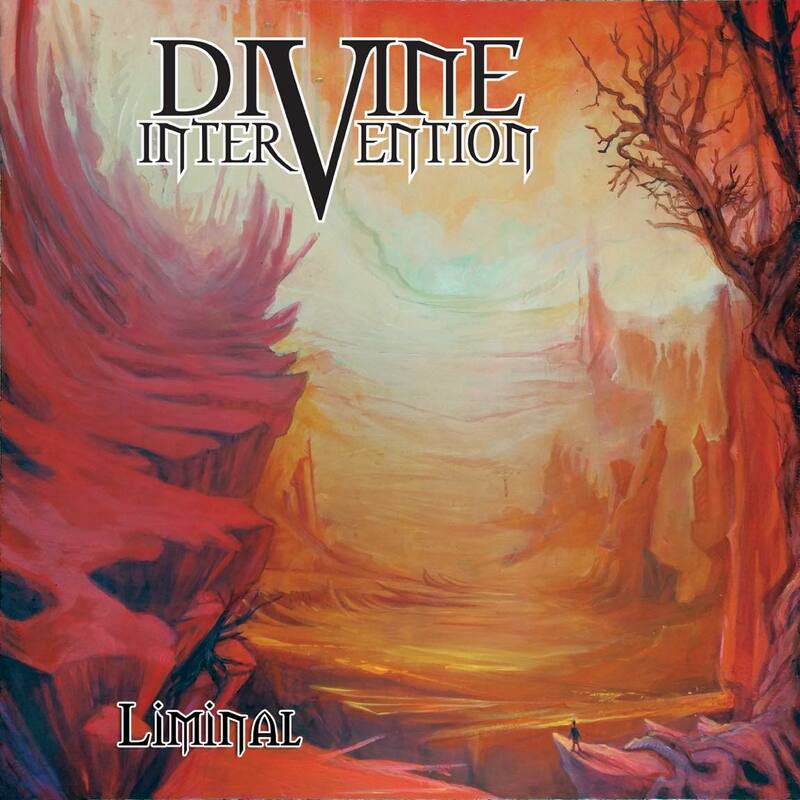 Progressive Metal five-piece from San Pedro in California, Divine Intervention, have recently launched an EP entitled ‘Liminal.’ Taking a part in the Prog Sphere Showcase feature, the band answered our questionnaire about their mission, the EP, its message and more. Define the mission of Divine Intervention. Divine Intervention is a congregation of musicians, looking to find transcendence through riffs, and salvation in shredding. Our goal is to create a sound that serves as a celebration of the heroes of metal mythology, and through our interpretation, revitalize the genre and bring it to the masses. Tell me about the creative process that informed your EP “Liminal” and the themes it captures. In 2016, we released an album called, “Traveler,” which at the time, was a huge accomplishment, especially for our Guitarist, Sean Wagoner, who was 14 when he tracked the guitars. That being said, we were ultimately unable to capture what we wanted in terms of production and performance. We parted ways with our vocalist and decided to bring in our friend, and fellow LA metal scene enthusiast, Alex Madrid. His talent as a vocalist and songwriter became apparent immediately, and with his help, we were able to explore new avenues of creativity. “Liminal” at its core, is a collection of songs that represent uncertainty. It’s hard work being a Metal band in Los Angeles, and although we were excited about our new material, the path to success in this industry can be labyrinthian at best. Instead of seeing that uncertainty as a deterrent, we used it to fuel our creative process, and hopefully, listeners can relate, and connect with our passion for making music. What is the message you are trying to give with “Liminal”? The message behind Liminal is this: In our lives, we all experience moments of doubt, uncertainty, fear, and defeatism. It can affect us in such a way that it distorts our ability to experience all the wonders that life has to offer. The goal of the song was to get into the mind of someone gripped by their fear of the unknown, and how important it is to persevere, to be willing to reach out for help, and to understand that we all can grow stronger together if we practice empathy and compassion for our fellow man. A smart phone was always present during rehearsal to capture the ideas presented in the session. We would send each other those videos, create new ideas, and build on them at the next session. Absolutely. We gave ourselves the freedom to explore a lot of new ideas and styles, but after experimenting, there’s always a stage where you put your work under a microscope and see how it can be improved. We learned a lot while recording “Traveler”, and the approach to recording “Liminal” started with the goal to make great music, with great people, at an affordable cost that in no way compromises the integrity of the production. We decided to work with our good friend, and talented engineer, Patrick Burkholder. After Patrick sent us the final mixes, we had the album mastered by Billy Joe Bowers, whose previous clients include Mastodon, Metallica and AC/DC. How long “Liminal” was in the making? The process of writing, recording, and post-production took about a year, but we’re very pleased with how everything turned out, and we hope to increase our output from here. We love the ambitiousness and virtuosity of progressive rock, and metal, but we’re determined to also honor our roots. We were listening to bands like Between the Buried and Me, Yes, and Steven Wilson while writing, but wanted to incorporate our love for groups like Iron Maiden and Mastodon as well. We live in a time where its never been easier to have access to recording equipment and decent production quality, especially in Los Angeles. Technology has essentially given everyone the freedom to share their art with the denizens of the internet, which opens the door to all kinds of unique and ambitious expression, but also creates oversaturation, and many up and coming bands get lost in the noise. It’s also never been easier to simulate talent, with the help of tools like quantizing, and pitch correction. These tools aren’t inherently nefarious, but even in certain subgenres of metal, the production ends up being so “polished” that it removes the human element from the recording entirely. Divine Intervention aims for the most organic performance and sound possible, but to be clear, our goal is not to be a nostalgia act, or to be purposefully anachronistic. Technology exists to be utilized, and it gave us the opportunity to release an album without label support, and on a limited budget. That being said, it also gave us mumble rap and YouTube celebrities. Creating music brings us immense joy, and we hope our listeners find our songs relatable and enjoyable. There is a lot that has been said about the transcendental nature of art, and the artists role in the interpretation of abstraction, and we’re very lucky to have the opportunity to express ourselves creatively, but were not here to romanticize what we do. We’ve spent a considerable amount of time developing the skills necessary to be competent at our instruments, and in our group, we do our best to play to each others strengths when it comes to a functional distribution of labor and creating content. It takes a lot of passion and hard work to be a band and prove to people that what you’re expressing is authentic and innovative, so at this point, we’re more interested in getting boots on the ground than metaphysical platitudes. The release of “Liminal” is hopefully the first step in a long journey that will lead to sharing our music with people all over the world. Our goal is to get on the road, show people that we belong in the same breadth as other big name acts, continue to make music that pushes the boundaries of what we know, and then grow from there. For more information about Divine Intervention visit their website, and follow them on Facebook and Instagram. You can stream Liminal on Spotify.